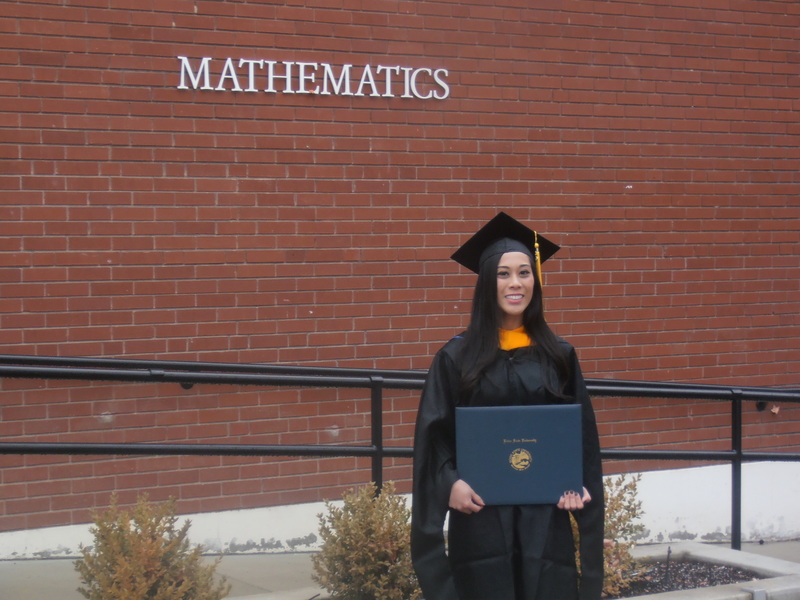 Monica was my last masters student at Boise State, completing her thesis in December 2015, while I was already at Mathematical Reviews. My colleague at Boise State Zach Teitler coadvised her for the last few months. The following picture is from graduation day. Monica’s thesis, The classical theory of rearrangements, discusses Riemann’s famous rearrangement theorem for conditionally convergent series of real numbers, prior results, and some extensions and related topics. This previous blog post discusses some of these. You are currently browsing the A kind of library blog archives for July, 2017.